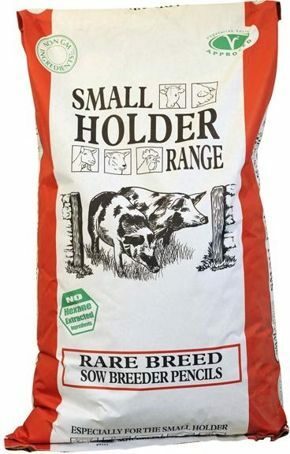 Rare Breed Sow Breeder Pencils are suitable for gestating or lactating sows, or as a maintenance feed. Not for intensive or commercial production. Feed 1.5kg to 3kg depending on age, size and condition. Introduce a new feed gradually over 7 to 10 days to help a smooth change over. This feed should be fed with ad lib fresh water. Do not feed to sheep.